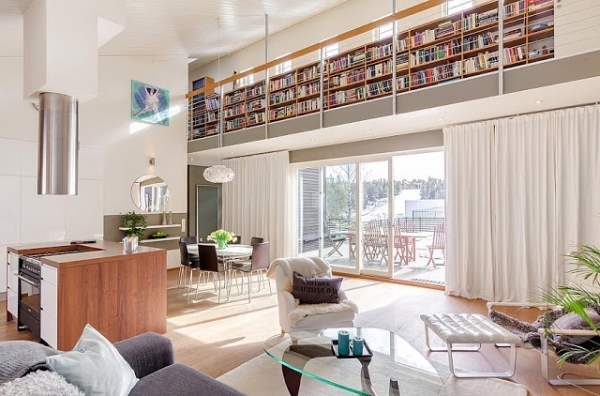 This 190m² Scandinavian house is not quite the home we would usually expect to see. 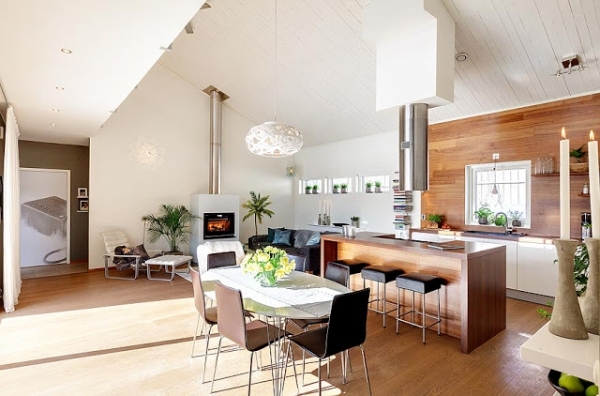 Nordic style but with some amazing interior design features that truly make this house a home. 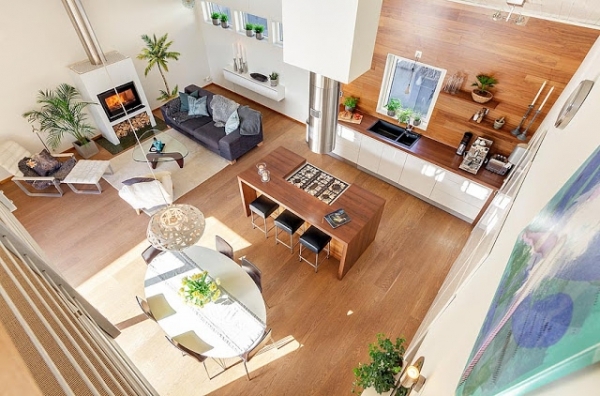 The 5 meter high ceilings give a sense of light and space, while the mainly neutral décor offers the perfect base for a variety of interior design fixtures that transform what would be an empty space into a comfortable and cozy place to live. From the outside the house speaks style, with a pleasant and refreshing pool and decking area in the garden. 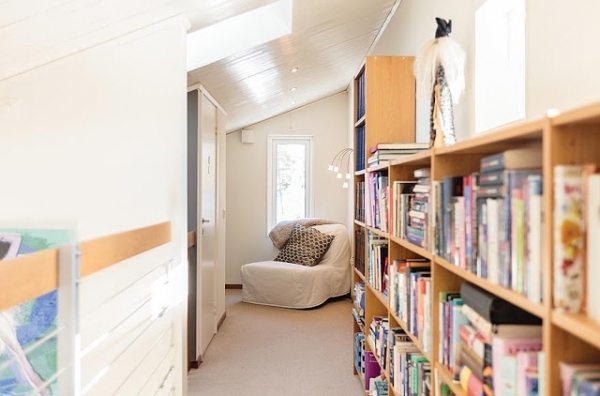 Walking through large glazed doors into the living space you are welcomed by a tastefully furnished area that is the main show piece of this house. 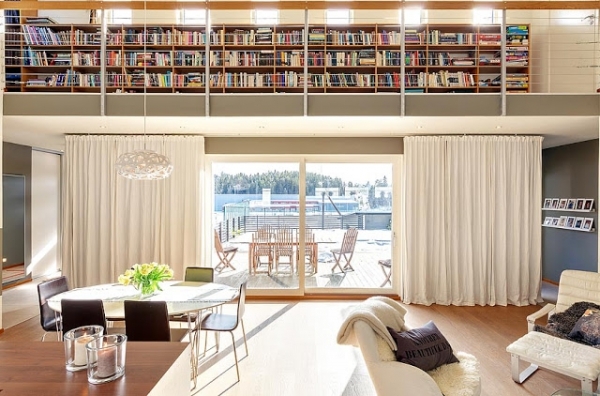 The wonderful mezzanine above provides one of the most amazing interior design statements we’ve seen and is also home to a well-equipped library. Comfortable seating, neutral colored floor coverings and full length cream curtains provide the textiles in this open plan room. 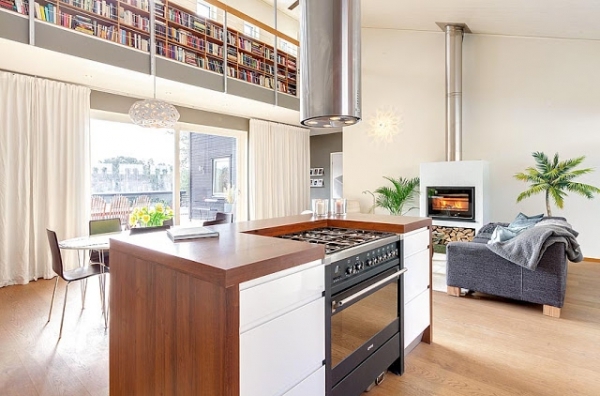 Here you will also find a stunning modern fitted kitchen with breakfast bar, modern appliances, touches of stainless steel and wooden accents. 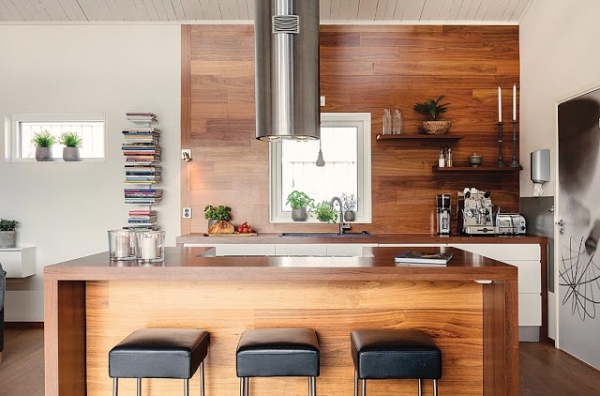 Throughout this home amazing interior design elements rule – including the lighting, wall decorations and even the wood burning stove in the main room. 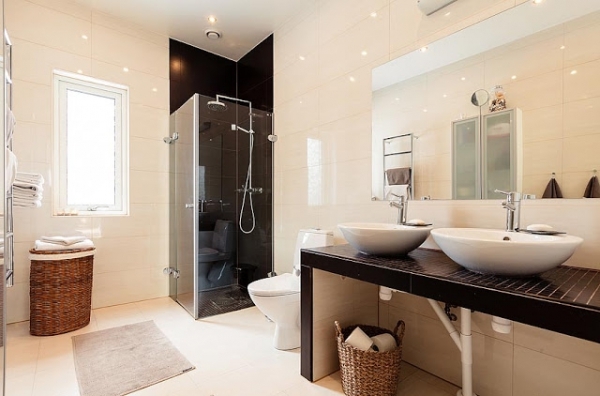 Moving onto the bathrooms you will evidence how the amazing interior design is a feature of the whole house. 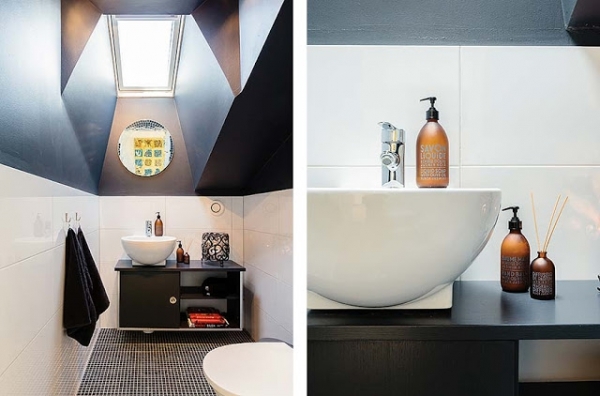 Here we have ultra-modern yet classy fittings, fully tiled walls and floor plus accent lighting that give these rooms a clean and stylish look. 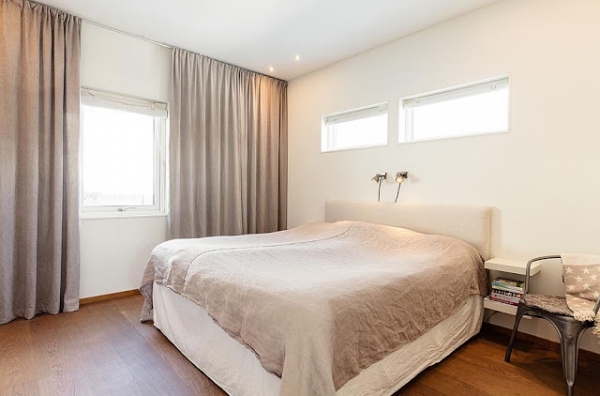 The bedrooms make a bold statement that keeps the amazing interior design flowing, with a feeling of space and comfort, somewhere to relax and get a good nights sleep. 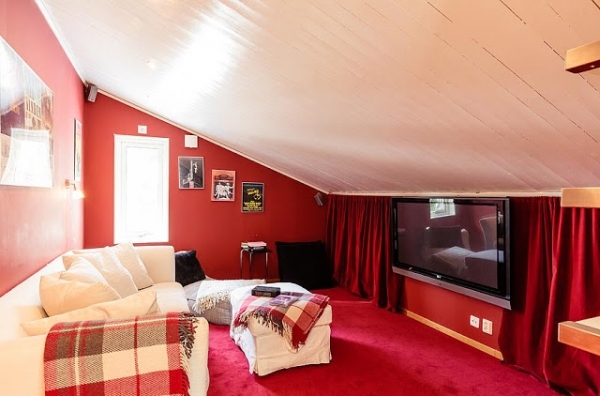 The home also has a wonderful entertainment room where bold colors make a cozy area to have family movie nights. 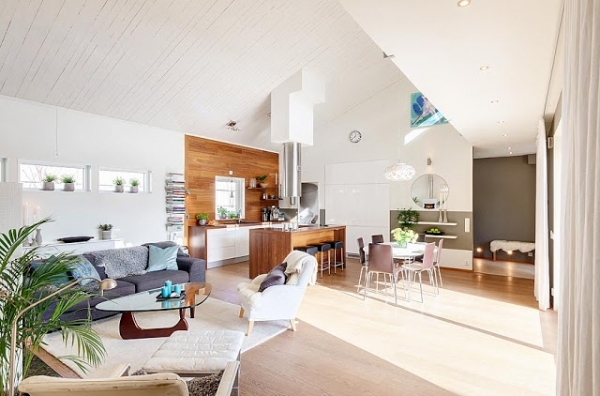 This house is a fabulous mixture of high quality materials and amazing interior design – a true family home.